Tickets can be purchased at 313Presents.com, www.Livenation.com, Little Caesars Arena XFINITY box office and Ticketmaster.com. To charge tickets by phone, call (800) 745-3000. 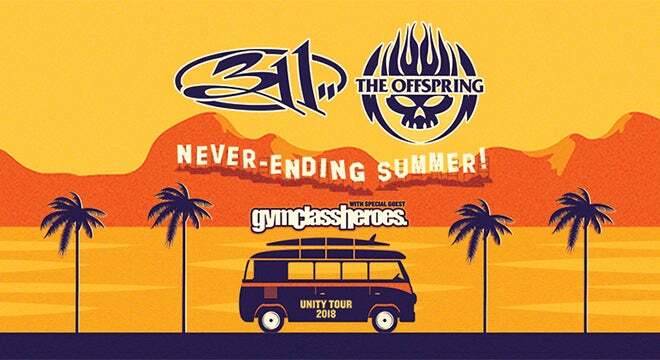 Two of rock’s most notable live bands, 311 and The Offspring, announced they are teaming up for the “Never-Ending Summer Tour”, a fun-filled summer amphitheater outing with special guests Gym Class Heroes. 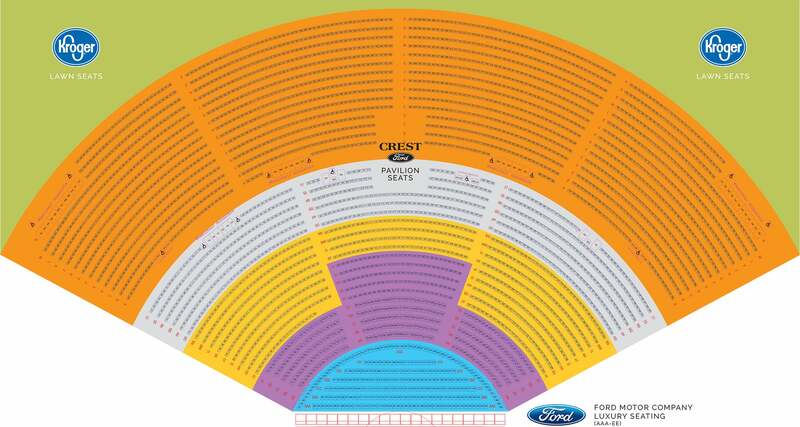 The tour will stop at Michigan Lottery Amphitheatre at Freedom Hill as part of the Fifth Third Bank Concert Series on Tuesday, August 14 at 7 p.m. The feel-good tour of the summer, produced by Live Nation, will provide fans an amazing night of music with countless hits from all three bands making for a can’t miss event this season. Citi® is the official presale credit card for the 311 and The Offspring tour. As such, Citi® cardmembers will have access to purchase U.S. presale tickets beginning Tuesday, April 10 at 12 p.m. local time until Thursday, April 12 at 10 p.m. local time through Citi’s Private Pass® program. For complete presale details visit citiprivatepass.com. 311 was formed in 1990 in Omaha, Nebraska by singer/guitarist Nick Hexum, singer S.A. Martinez, guitarist Tim Mahoney, drummer Chad Sexton and bassist P-Nut. The band now resides in Southern California. 311 mix rock, rap, reggae and funk into their own unique hybrid sound - and have developed a reputation as one of the most entertaining & dynamic live bands in the U.S. 311 has sold over 9 million albums in the U.S. alone. 311’s last 10 consecutive albums reached the Top 10 on the Billboard Top 200 Album Charts and they’ve had 9 Top 10 radio hits, including three No. 1’s. Their list of hits includes “Down,” “All Mixed Up,” “Amber,” “Love Song,” “Come Original,” “Beautiful Disaster,” “Don’t Tread On Me,” “Hey You” and “Sunset In July.” 311’s celebratory live shows and incessant touring schedule have earned them a massive grassroots following nationwide. Gym Class Heroes broke into the scene in 2005 with their debut The Papercut Chronicles, a classic coming-of-age album that spawned the platinum, record-setting Top 40 No. 1 single “Cupid’s Chokehold/Breakfast in America.” Papercut served up a fresh, new palette for hip-hop: live instruments, slyly humorous lyrics, and eerie melodies that illuminated rapper Travie McCoy’s dark, personal subject matter. Since then, Gym Class Heroes has established themselves as one of the most exciting bands in pop music, topping the radio charts with hit singles, touring the world, making countless national television appearances and winning multiple music awards, including the MTV VMA for Best New Artist in 2007.